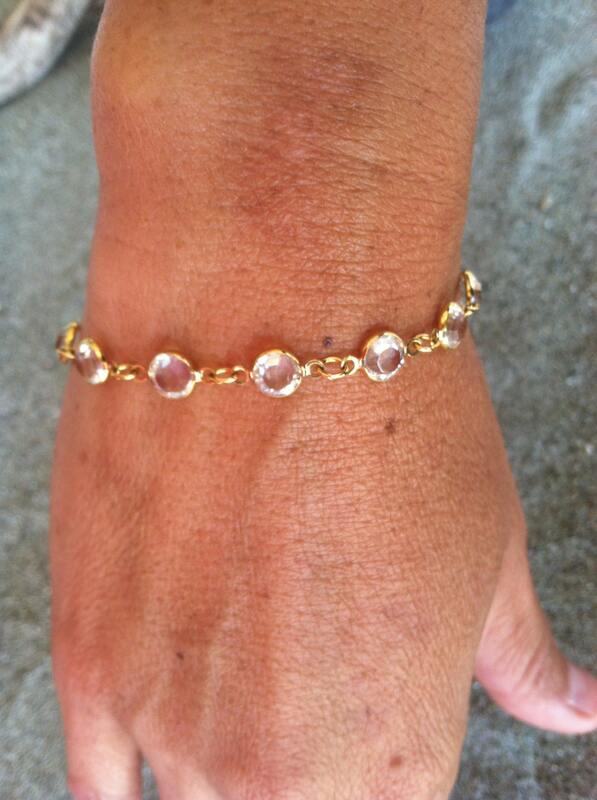 Swarovski crystal bracelet. Bezel set genuine Swarovski crystals in either silver or gold plated. Single row of crystals shines beautifully and accents any of our amazing Swarovski necklaces wonderfully. 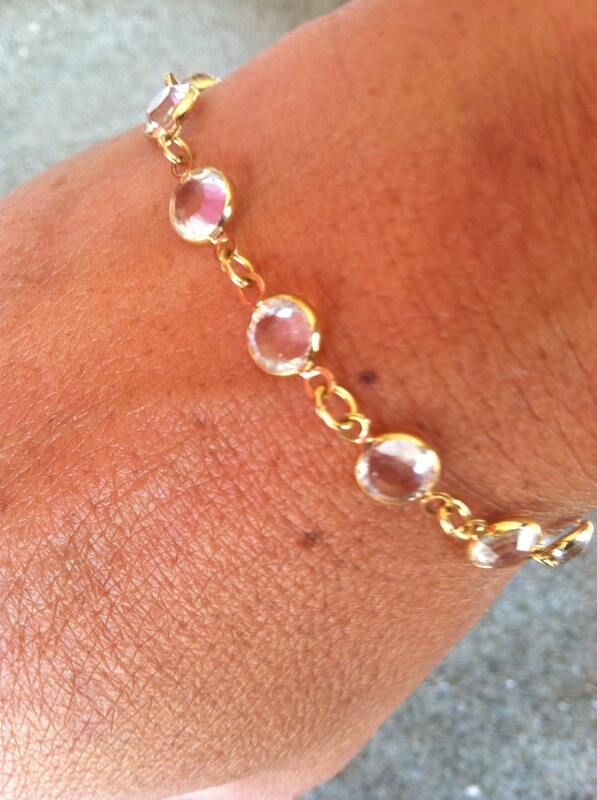 A gold filled or sterling silver spring clasp allows for easy on and off. A great little gift. Thank you, I will come back! Gave as a gift, recipient loved it. Thank you! 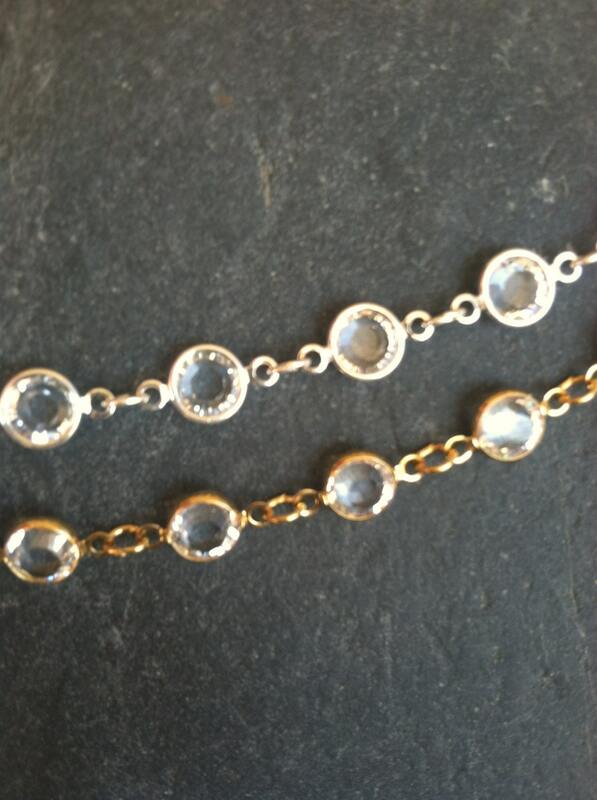 Very pretty stones, clear and sparkly. Gave as a gift. Thank you! Gave these as Christmas presents. Love them! Thank you!